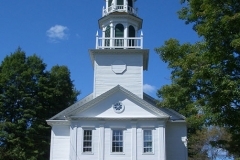 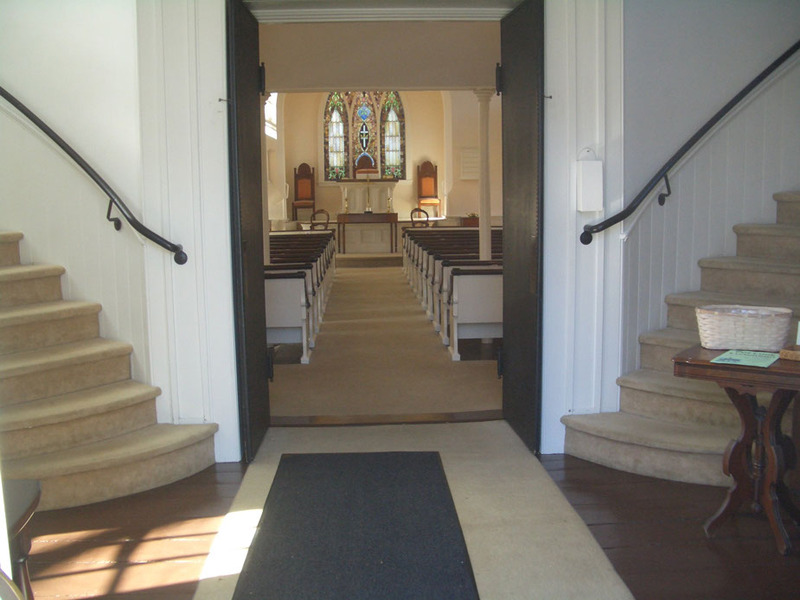 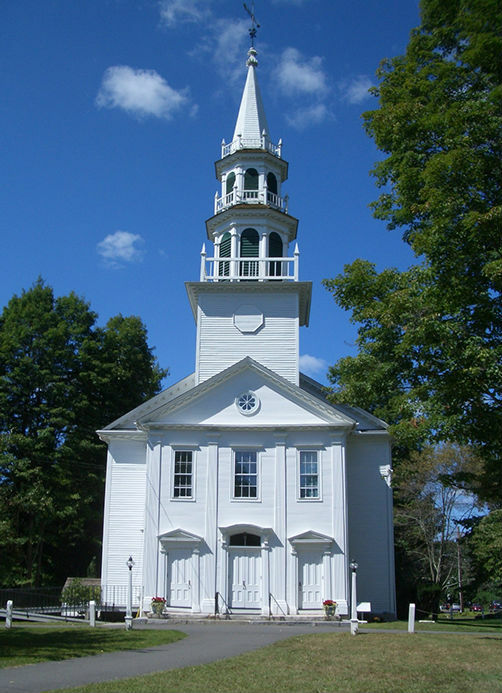 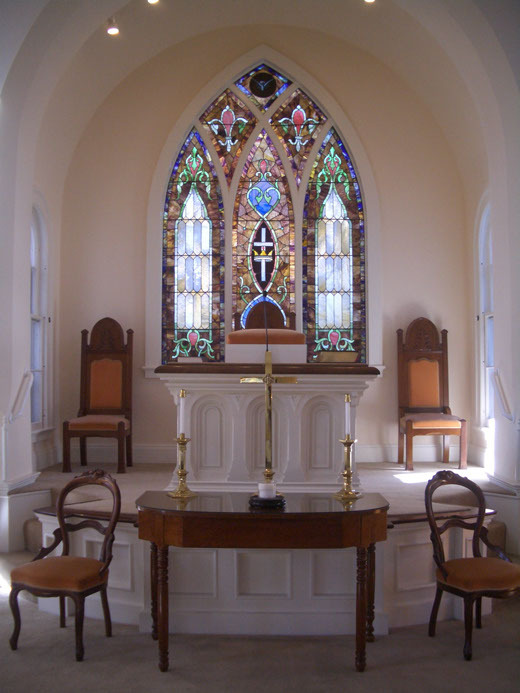 Our current Meetinghouse has been lovingly maintained since it was built in 1825. 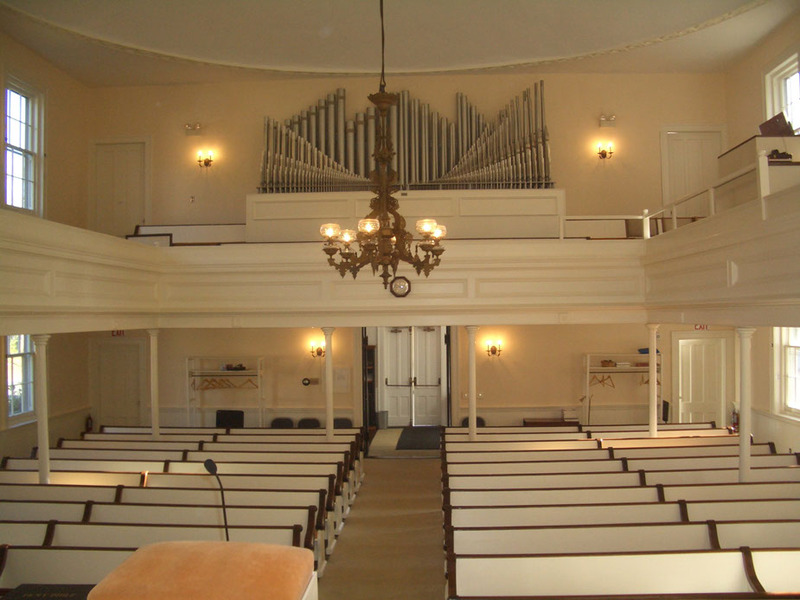 It was a replacement for the original structure constructed in 1770. 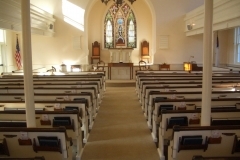 Our Meetinghouse seats 200+ people and is available for weddings with or without our pastor officiating. 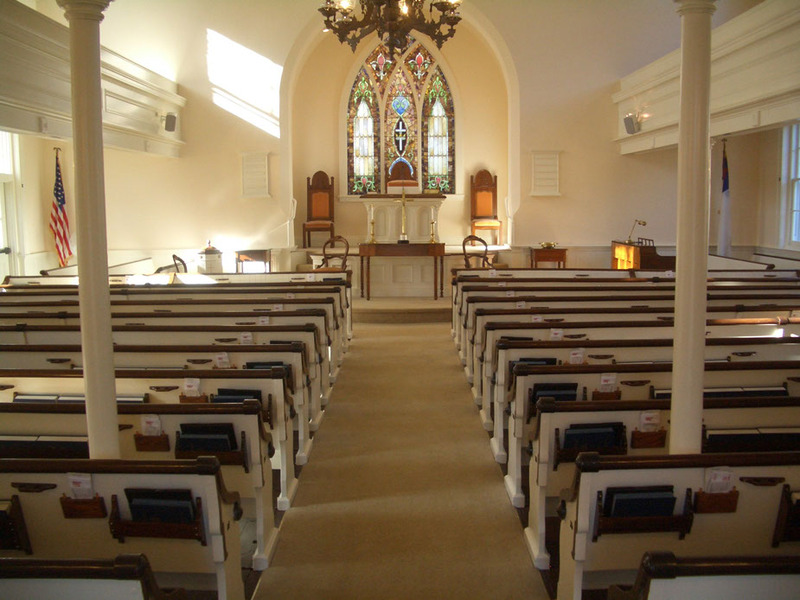 An application form with more information about planning weddings is available here. 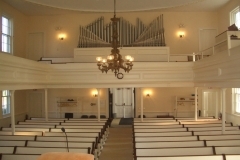 Memorial Services are also held in the Meetinghouse. 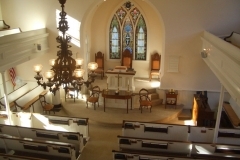 The planning form for Memorial Services is available here. 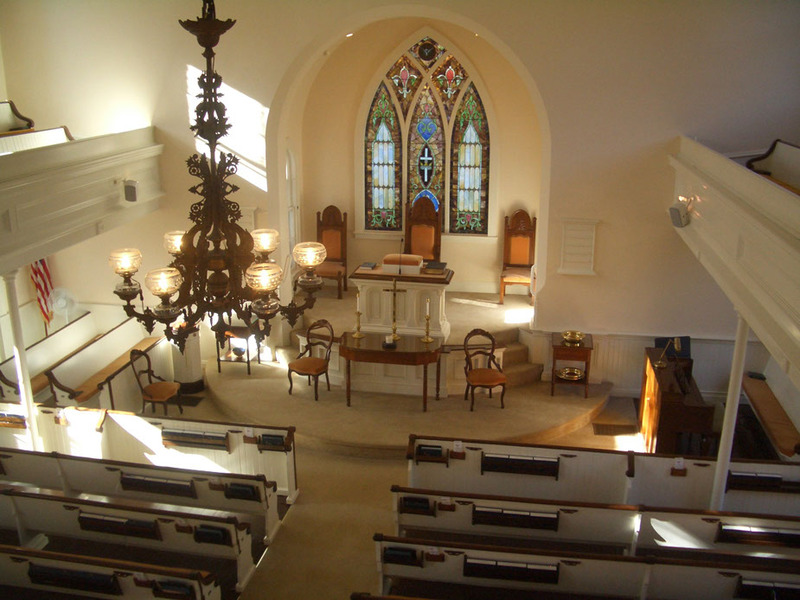 Inside the narthex looking toward the pulpit. 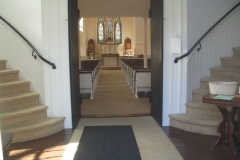 Stairs lead up to the balcony. 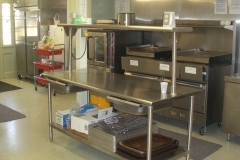 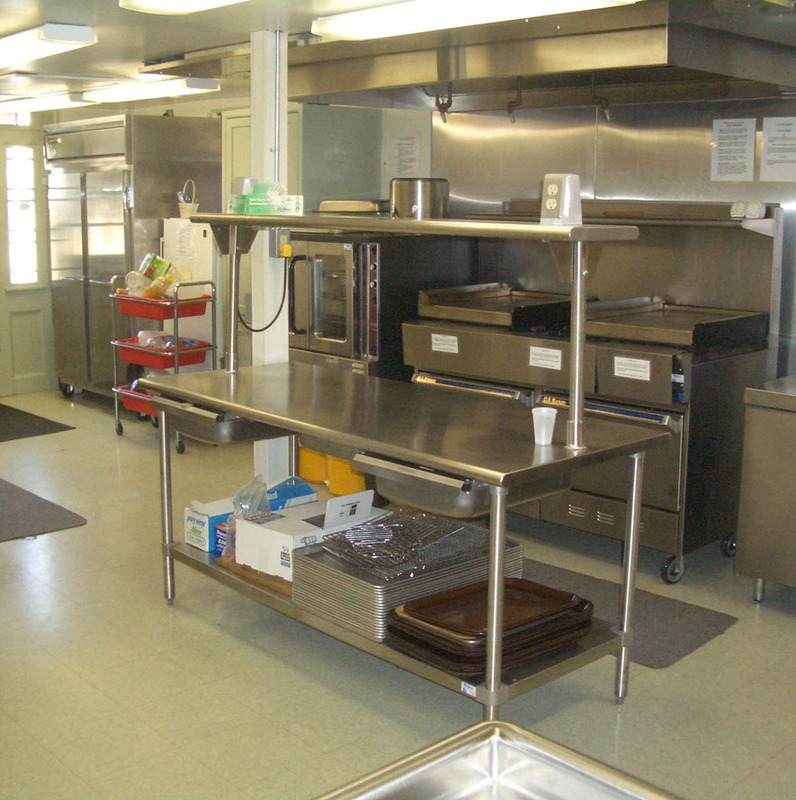 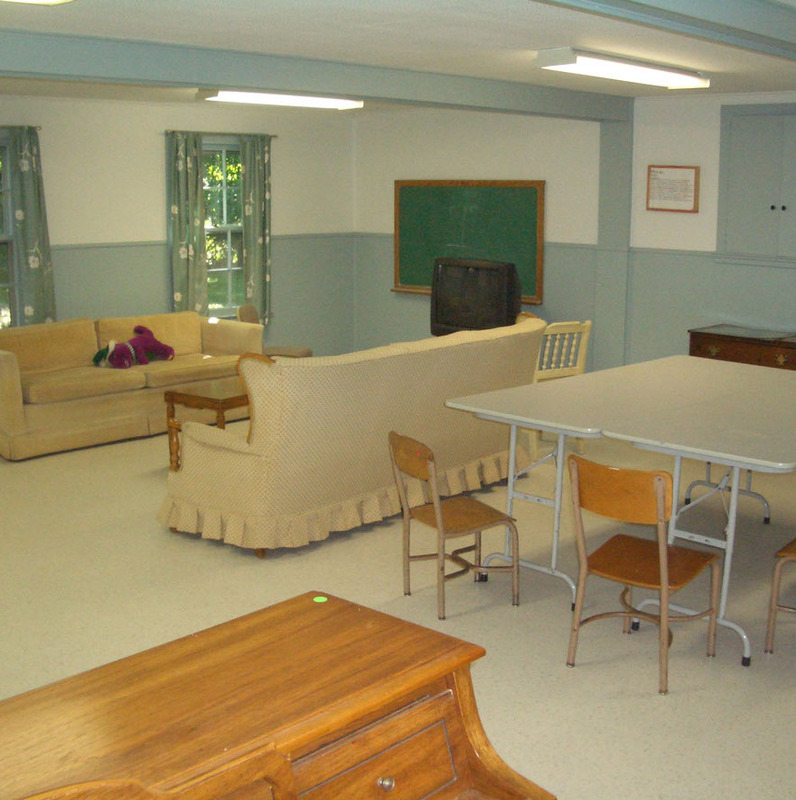 The main floor of our Parish House has a kitchen, a large gathering room, a small meeting room, and our church offices. 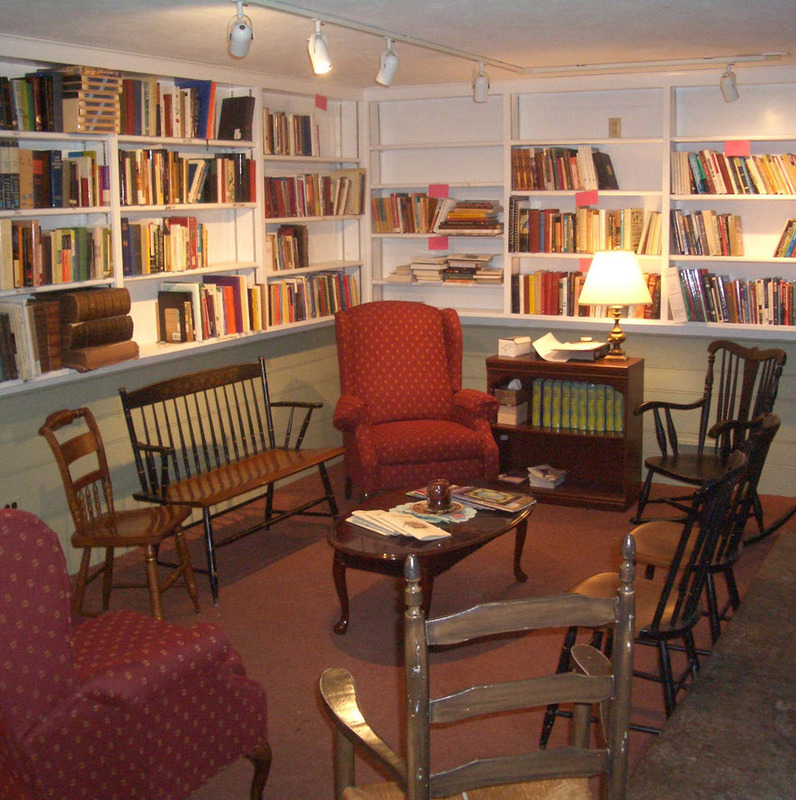 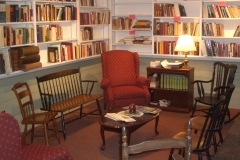 Downstairs are several private meeting rooms and our church library. 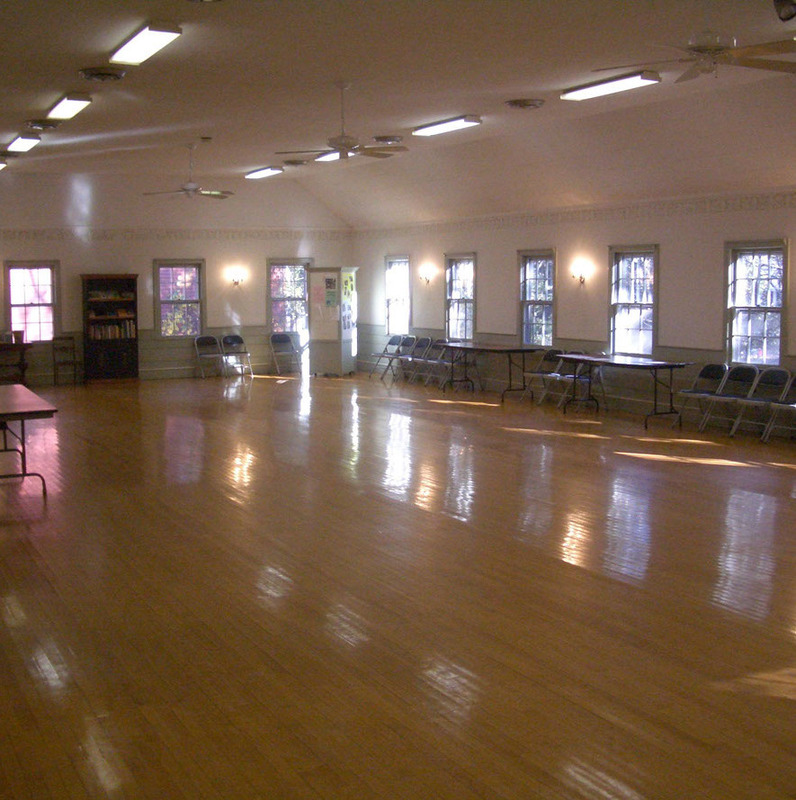 On Sunday the meeting rooms are used for Sunday School. 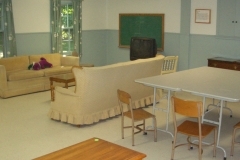 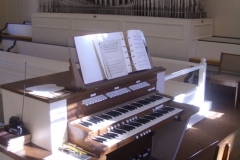 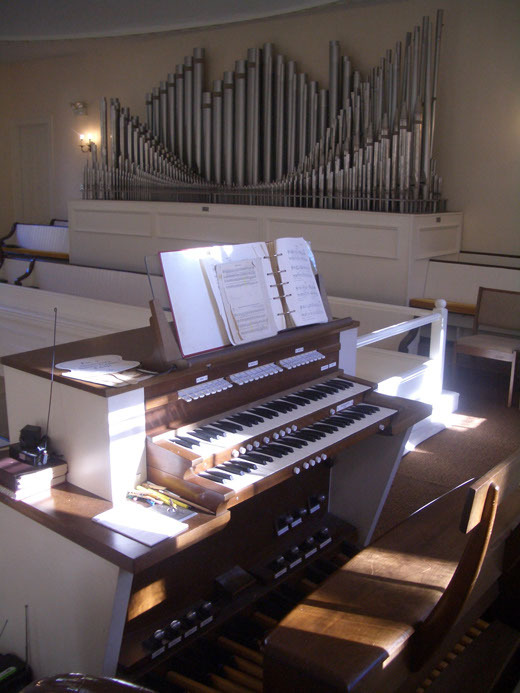 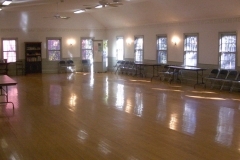 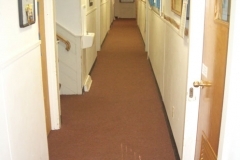 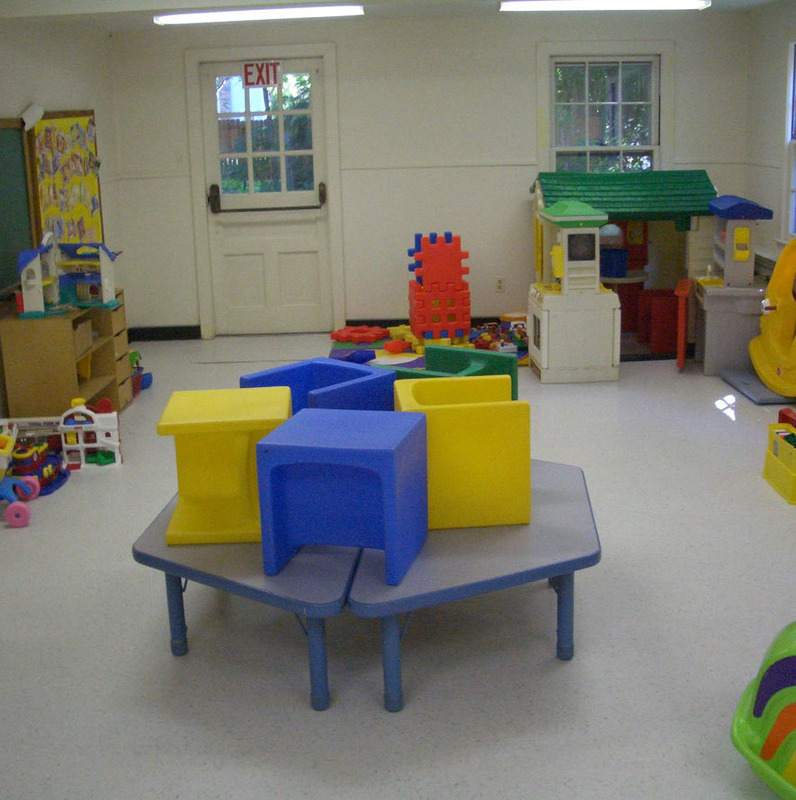 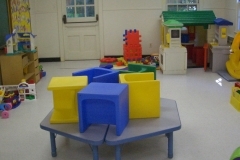 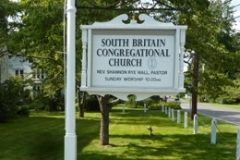 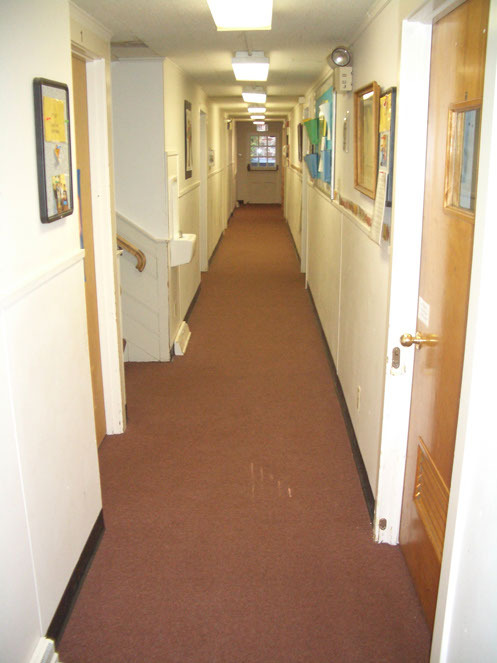 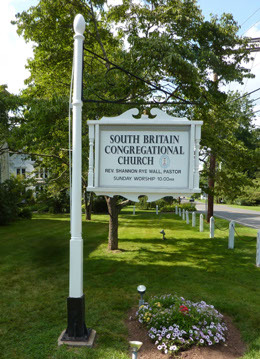 Call the church office (203.264.5890) to inquire about the use of our facilities. 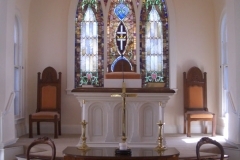 You can download the Application for Use of the Parish House here. 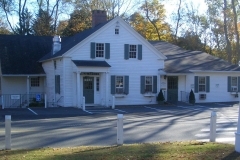 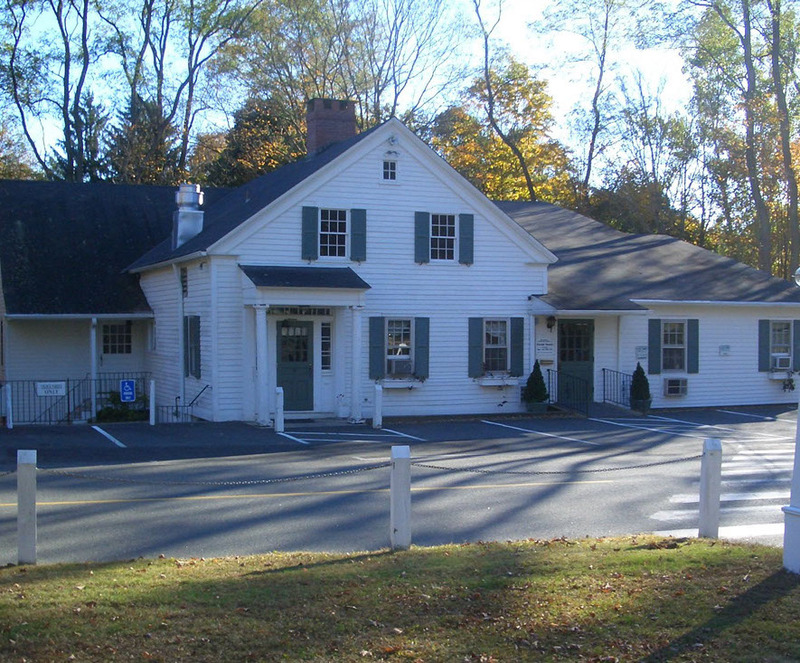 Our main parking lot is located just across the street (on the east side of Route 172) from the Meetinghouse.